Rec Tec vs Traeger pellet grill comparison — Which pellet grill is better than the other? Is Rec Tec worth the higher price tag or should you just settle with the cheaper Traeger? Let’s find out as we go through each of these grills highlighting the difference in both features and performance. Note: We are basing our comparison on REC TEC Trailblazer wood pellet grill (the newest of Rec Tec in the series and better improvement made) against the Traeger TFB42LZBC which is the best selling Traeger grill. Very sturdy build – Everything on the Rec Tec grill is made of heavy duty steel (i.e from the fire pot to the grill logo). There is No paint to fade, flake, or fail. This has made this grill firm and durable all through the years. It is much better as compared to Traeger. 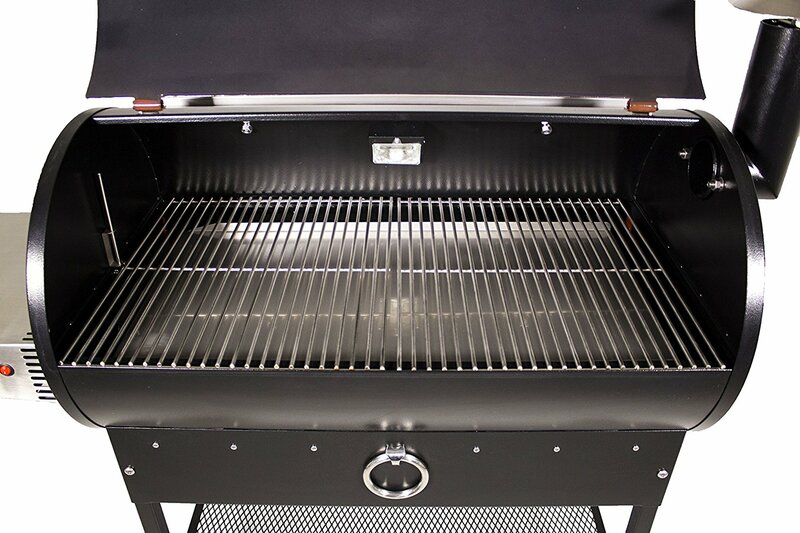 Traeger uses steel and powder coat finish in their grill. although it is sturdy, it is not as strong as the Rec Tec Grill. Earlier versions of Traeger pellet grills used to be stronger than what you will find in the market these days. Traeger could be much better when it comes to the build and strudiness. Rec Tec Grills have outstanding performance and their Rec Tec Trailblazer is just a phenomenon keeping in mind that this is their latest and an incarnation of its previous models. The different temperature controls allows for easy operations including “FULL SETTING” which lets you achieve up to 500 degrees. With this grill, you can easily bake, smoke, sear, grill, broil, roast, and even dehydrate without worrying about the output. Traeger is an excellent grill when it comes to flavoring your meat and giving it that unique and lovely taste that we all would love in a pellet grill. although it isn’t the best in the market when it comes to this, at least we can say it beats Rec Tec when it comes to this. It is however a mess when it comes to other performance features and could even burn the meat if you are not there to babysit it (that is based on dozens of user reviews from different sites). The Rec Tec Trailblazer has 340 sq of Cooking area which you an fit 3 ribs and tall enough for large roasts such as a large turkey. Traeger has a 418 sq. inches which makes it great for grilling and accommodating a lot at a time. 2 chicken and 3 racks of size ribs could fit in well. One of the best things with Rec Tec is that you can adjust the temperatures easily in 5º increments at a time which unlike Traeger which gives a poor +-20 adjustment, guarantees better heat control and monitoring. Heat control is very important and being able to control it in small degree gives you better grilling experience. Its electric thermostat is also another thing to love. Traeger hasn’t maintained a good heat control and that is based on experience of many users. Heat control seems to be worrisome and if it had a thermal sensing monitor it would be greater than maintaining approximate temperatures of +/-20 which it does. so, if you are not ready to baby sit you brisket, seriously, don’t get it. Rec Tec is designed to be very efficient and even uses less wood pellets as compared to Traeger. Rec Tec has an insulation lid among other structural features that are meant to utilize less fuel and produce sufficient heat. Both grills seem to have similar efficiency and if there is any difference it isn’t much. Traeger is a little larger which means you need more pellets but it makes up for that by accommodating more. Rec Tec vs Traeger – What Sets them Apart? Here is an in-depth guide highlighting the features and performance on the two pellet grills and our verdict on which of the two you should choose. The sturdiness of the grill determines how long it will last as well as the stability it gives (you don’t want a swinging grill that tumbles in case of an impact). Everything on Rec Tec ranging from fire pot to the logo is constructed using a 304 stainless steel which makes it more heavy duty and sturdier as compared with Traeger which is constructed using a lower grade steel and powder coat finish. If you were choosing your wood pellet grill based on durability, it is clear that Rec Tec has it here. Rec Tec is an easy to use, high performance grill that gives you the best quality whether you want to grill, smoke, sear or bake. You can set the temperatures low and take you time without having to worry of burning your food. Its versatility and ability to maintain steady heat gives you the best. Traeger on the other end is good. much better than most pellet grills but doesn’t come close to Rec Tec. Based on reviews by users, some have reported issues with too much heat messing things up. If you are looking for a set and forget grill, then Rec Tec will do. Why? Traeger just isn’t that good. If it runs out of wood pellets, it will go off, taking you to the beginning. So if you choose Traeger, be ready to babysit. Heat control is everything. Mess around a little with temperature adjustments and you mess your briskets. For the best experience, you’d want a pellet grill that gives you the best control of the temperatures. Rc Tec maintains temperatures up to 500ºF and you can make 5º increments. 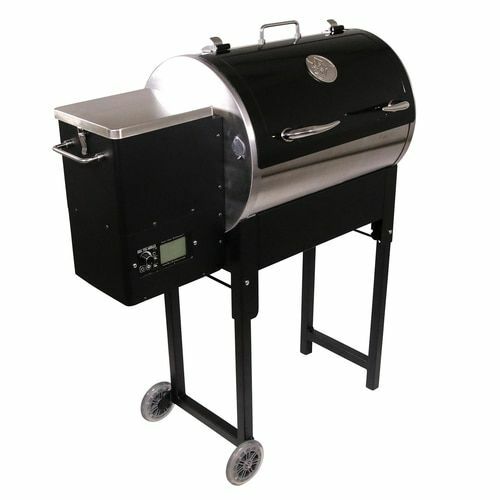 Traeger temperatures can be controlled +/- 20 degree increments and this can go up to 450º. What this means is that you can get more heat from Rec Tec than Traeger and also have better heat control. 5º adjustments is really impressive. so, Rec Tec is the best here as well. High hopper capacity obviously comes to play when you are planning on cooking or smoking for a lengthy time. Should that be something to consider, just pick Rec Tec. Rec Rec has a way higher hopper capacity as compared to Traeger. Rec Tec holds 80 pounds of pellets while Traeger holds less than half. If you are planning on moving your grill a lot, then you need something that is light weight and if it comes down to Rec Tec and Traeger, it will have to be Traeger this time. Rec Tec is made of heavy duty materials which makes it heavy. I always love my grill to be heavy and stable, but if you feel the need to have a portable one and this only being your priority, Traeger could be it. If you’ve had a grill that gave you headache cleaning, then I bet that’s an experience you don’t want again. Luckily these two grills seem to have you covered on that. Both the Traeger and Rec Tec are easy to clean and you wont have any issues struggling over a lengthy time trying cleaning them. Based on customer reviews from major online retailers, Rec Tec seems to be stealing the show and loved by many users. On amazon for instance, everyone (yeah, all verified buyers) who have bought Rec Tec through the platform, has something good to say about this pellet grill. As compared with Traeger which has received mixed reaction, including several complains, it is justified to say Rec Tec is the unanimous champ. We all know what defines a good pellet grill; good temp control, sturdy build and the performance you get. Clearly, these pellet grills are on different levels and frankly, Rec Tec is way better than Traeger in many ways. Rec Tec tends to be much pricier than most Traeger grills but rest assured, spending the extra dough to get Rec Tec would be a worthy investment. Earlier versions of Traeger used to grace the backyard with love but since they started making it from china, the quality and performance faded. Our final verdict: We highly recommend Rec Tec wood pellet grill. And if you still prefer to go with Traeger, for the reason that it is $100 cheaper and having a lwerger cooking area, then this specific model is the one we recommend.